Award winning Producer/Songwriter Robert Jason heads a team of dedicated musical professionals. Our desire is to provide the finest recording experience possible, with flexible budgets, and a Nashville “down-home” attitude. In Robert’s world, the artist is always #1. Welcome to Robert Jason Productions. Feel free to check us out. 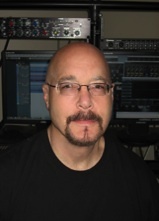 Robert uses Fox Mountain Productions for rhythm track recording and mixing. "Radio Ready" production in all genres including Pop, Country, Alternative, Rock, Urban/R&B, and Christian. Fourteen #1 singles and counting! Song Evaluation Service: Contact us for details of this exciting new service. A must for songwriters of ALL levels. Professional vocal coaching by Nashville and Los Angeles studio vocalist Robert Jason. Robert has hundreds of national and international performances in film, television, records and commercials.